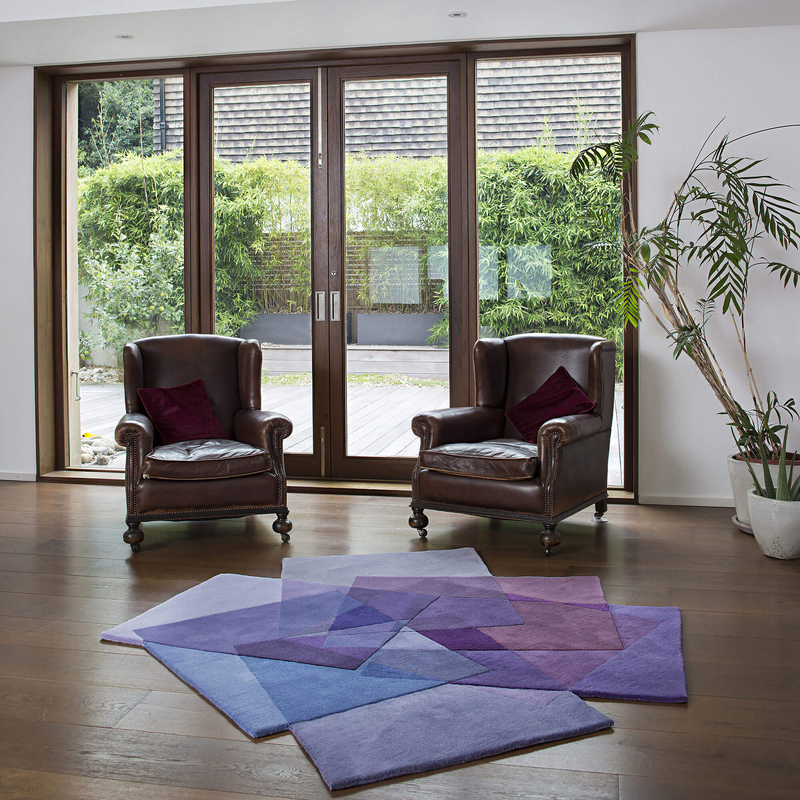 After Matisse Purple Rug is a modern designer rug exploring the multitude of hues possible in purple edging into blue. This piece is the purple version of Sonya’s iconic colourful area rug After Matisse. This irregularly shaped, artisan crafted rug can be displayed both as a floor piece and a wall hanging. The rich wool texture in its purple colour brings a touch of luxury to any interior, offering the space a sense of creative and mysterious grandeur. The subtle shade of the piece makes it versatile enough to be used through the home, from brightening up the kitchen or living room to creating that extra touch of luxury in a bedroom. This modern purple rug is formed of squares ranging from light dusky purple to deep rich burgundy using thirty eight different subtle hues. The handmade rug beautifully and playfully demonstrates the range of purple and the subtle effects generated as these shades overlap to create new ones. Handmade and hand tufted in pure New Zealand wool by GoodWeave artisan weavers, this complex designer rug is hard wearing and easily washable.